IB ACIO 2017 Recruitment Notification Released, Apply Online, Fill IB ACIO 2017 Application Form. 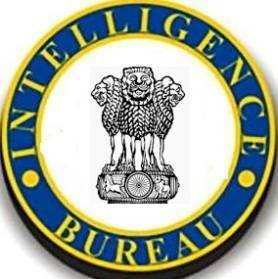 Intelligence Bureau IB Exam 2017 for ACIO Grade II officer Job Profile. IB ACIO Exam 2017 Dates Released and online application form started. If you are waiting for the dream job in intelligence bureau then here is the opportunity for you to apply for IB ACIO 2017 Job. It requires only graduation and there is no any other experience or certificate required. Check the official website of ministry of home affairs www.mha.nic.in. If you are willing to work for IB which works under the ministry of home affairs then this recruitment is for you. IB Assistant central intelligence officer ACIO is one of the reputed direct post in intelligence bureau. You can get IB ACIO Post directly with this examination which will held in three phases- Written Exam Objective, Written Test Essay and Interview. There is nothing hard to crack this exam and i think you should fill IB ACIO 2017 Application Form and try your luck. Online applications are invited from Indian Nationals for direct recruitment to the post of Assistant Central Intelligence Officer (GradeII/Executive) i.e. ACIO-II (Exe) in IB (Ministry of Home Affairs), Government of India. Applicants are advised to go through all parameters under different paras and sub-paras mentioned below and satisfy themselves about their suitability in terms of age limit, essential qualifications, etc for the post before applying. Candidates fulfilling eligibility criteria as mentioned below may apply ONLINE through website www.mha.nic.in only. Here I am sharing all the important details from the recruitment notification, if you want to read all the details then you should download the IB ACIO Notification 2017 from the following links. Education Qualification: Candidate must be graduate / completed Graduation from recognized university / college or its equivalent. Age Limit: 18 to 27 Years (Relaxation in age as per the govt norms). Refer official notification for further detailed information about reservation and relaxation in age. Salary / Pay Scale: Rs. 9300-34800 /- with Grade Pay 4200/-. Salary will be normalized as per 7th pay CPC. Application Fees: The application fees for IB ACIO Exam 2017 is 100/- only for unreserved candidates while SC/ST/Women candidates are exempted for application fees. You can pay application fees online through net banking/ATM / Debit/Credit card or offline through State bank of India SBI Challan/Cash Deposit. How To Apply for IB ACIO 2017 Recruitment – Apply Online Here? Wish you all the best for the examination and we hope you understand the brief details of IB ACIO 2017 Vacancies before filling application form online. If you have any doubt/queries, please comment below. We are willing to help you and resolve you query as soon as possible.